The spring was just on our door step a few weeks ago. Now we are back into wind-chill and snow flurries in Toronto. No need to be crying into one’s tea cup. Instead grab ‘Sakura! Sakura! 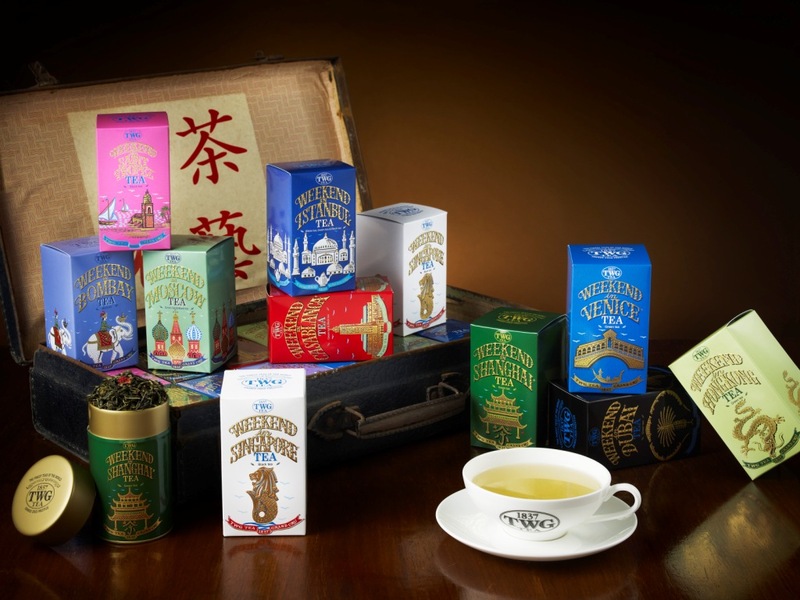 Tea’ from TWG Tea and The Urban Tea Merchant and make a hot brew. ‘Sakura! Sakura! Tea’ is a must have to add to your at home and office tea collection. ‘Sakura! Sakura! Tea’ is a true ode to spring. This fragrant TWG Tea blend evokes Kyoto’s most celebrated season. A scattering of cherry blossoms and green tea with a presence of rose yields a most aromatic and elegant fragrance. When the snow begins to melt on your door step, be sure to brew a cup of ‘Sakura! Sakura! Tea’ from TWG Tea and The Urban Tea Merchant and make time to stroll in the cherry blossom trees in your town. It will only be for a short time and will be well worth the wait. This entry was posted in Uncategorized and tagged hot tea, spa, tea, twg tea, urban tea merchant, urbantea.com, wellness on April 3, 2016 by thirtyfourflavours. The holidays are coming and it’s time to start a stash of tea to keep me satiated over the break. I was doing a store visit to The Urban Tea Merchant at Holt Renfrew at Yorkdale Mall in Toronto a few weeks ago, when one of their tea representatives made two suggestions for my holiday break. What were they? The Napoleon Tea and the Silver Moon Tea. Boy, were they a surprise! This tea of destiny combines a high quality black tea with a sophisticated TWG Tea blend of sweet French spices and a hint of vanilla, giving a most extraordinary and fully developed aroma. A tea of sensual warmth and sweetness. I have been brewing this tea with extra milk and sugar. It’s the most soothing and relaxing tea I have had in ages. I can’t wait to tuck into one of my books over the holidays and sip the Napoleon Tea in the quiet of my home. A TWG Tea blend of green teas is accented with a grand berry and vanilla bouquet, smooth, with just a hint of spice. A tea for that special moment. I wouldn’t normally go for this type of tea but the Silver Moon Tea delivers. It is luxe, sweet and emanates kindness. The vanilla and berry combination is a perfect tea to serve your guests over the break. It’s an easy tea and a guaranteed conversation starter. This entry was posted in Uncategorized and tagged hot tea, napoleon tea, silver moon tea, tea, twg tea, urban tea merchant, urbantea.com on December 13, 2015 by thirtyfourflavours.